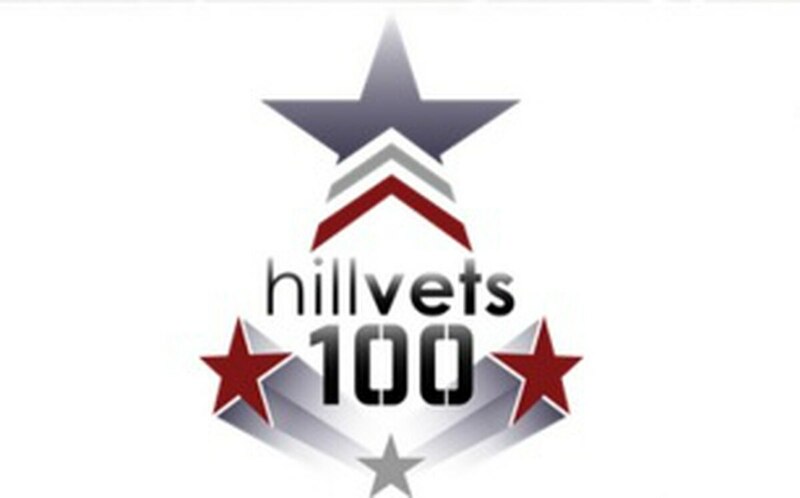 HillVets' 2015 list of the 100 most influential personalities on veterans issues includes a pair of female Rangers, a trio of presidential candidates, a Medal of Honor recipient and an evil Jedi master. The list, in its second year, is designed to highlight veterans, service members and supporters who helped broaden public understanding of veterans issues. The group's stated goal is to increase both the number of veterans working in government and focus on the challenges they face. The full list, available at the group's website, was compiled from outside nominations by a 13-member panel of veterans working on Capitol Hill. This year's honorees will be recognized at a March 22 event on Capitol Hill headlined by former Defense Secretary Chuck Hagel. Organizers say the goal is to not only highlight the work but also to bring together the larger community to find ways to build on it. Among the notables are Shaye Lynne Haver and Kristen Marie Griest, who last August became the first women to graduate from Army Ranger School. HillVets officials lauded them for being among individuals "who have shaped the debate surrounding the duty and the call to serve." Two former defense secretaries — Hagel and Donald Rumsfeld — made the list, as did former presidential candidates/veterans Texas Gov. Rick Perry, former Virginia Sen. Jim Webb and Sen. Lindsey Graham. Retired Army Capt. Florent Groberg, who received the Medal of Honor in November for heroism in Afghanistan in August 2012, was also recognized for his service and "bringing veterans and service members into the forefront of the national conscious." Several veterans made the list for their contributions to arts and entertainment, including Marine Corps veteran Adam Driver, who starred as Kylo Ren in the latest Star Wars film; Navy veteran PJ Walsh, a stand-up comedian and American Ninja Warrior contestant; and Army veteran Matt Gallagher, author and writing instructor for Words After War. For the second year in a row, Michelle Obama and Jill Biden were named to the list for their work with the Joining Forces initiative. HillVets organizers also praised the work of Veterans Affairs Secretary Bob McDonald, acting Army Secretary Pat Murphy, House Veterans' Affairs Committee Chairman Jeff Miller and Senate Veterans' Affairs Committee Chairman Johnny Isakson, among other government officials. Outside veterans-focused businesses like ScoutComms and RallyPoint also made the list. Media members highlighted by the committee for their work covering veterans issues include a pair of Military Times correspondents: health reporter Patricia Kime and congressional reporter Leo Shane III. The group also recognized veterans advocates in both the "traditional non-profits" and "non-profit innovators" categories, highlighting key influencers from groups like the Veterans of Foreign Wars, American Legion, Iraq and Afghanistan Veterans of AmericaIAVA, Student Veterans of America and Team RWB.